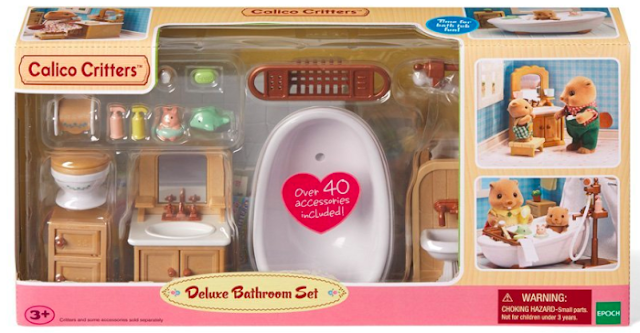 Right now you can score this highly rated Calico Critters Deluxe Bathroom Set for ONLY $12 (Retail $27.99). This set comes with over 40 accessories including a bath tub with shower stand, cabinet sink with mirror, toilet, hand sink, floor tiles and many more. This set is designed to furnish the Calico Critters Home which is sold separately.